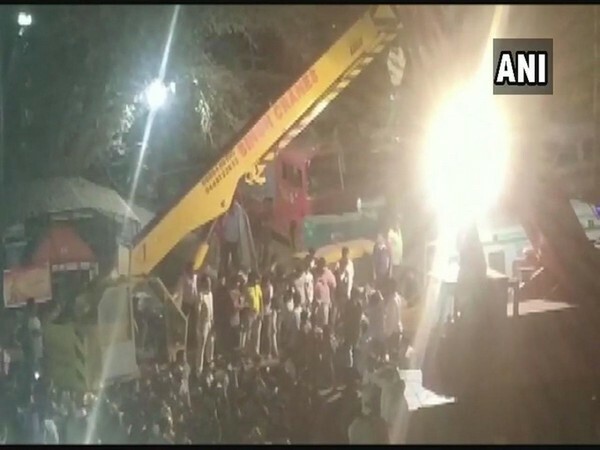 Dharwad (Karnataka) [India], Mar 20 (ANI): At least 37 people have been rescued from the site where an under-construction building collapsed at Dharwad's Kumareshwar Nagar on Tuesday evening. The rescue operation is still underway as more people are feared trapped. Earlier, Dharwad Deputy Commissioner Deepa Cholan had said that two people lost their lives while 28 people were admitted at Civil Hospital here for treatment. Meanwhile, Chief Minister HD Kumaraswamy said rescue efforts will be conducted on war footing and urged locals not to panic. NDRF and SDRF teams are engaged in the rescue operation.